In Vermont, consumers have certain rights with regard to heating fuel service. Vermont law regulates fuel pre-buy contracts, and establishes authority for the Attorney General to regulate propane service. Fuel pricing is not regulated in Vermont. If you are having difficulty with your heating fuel provider, you can file a complaint with CAP or contact us for more information about your rights and responsibilities as a fuel consumer. Charging any fee related to termination of service if a tank has been on the premises for more than 12 months. Additionally, propane sellers must refund consumers for fuel remaining in the tank within 20 days of disconnection or written notice from the consumer that the tank is no longer connected to the dwelling. Failure to issue a timely refund results in monetary penalties paid to the consumer that accrue daily until the refund and penalty are mailed or delivered. The Vermont Energy Act of 2011 also restricted the kinds of delinquencies that can trigger a disconnection of propane service to those charges related to the delivery of propane as specified in the Act. Vermont regulations establish certain rights and responsbilities for consumers with regard to propane service. Since 1986, Vermont Consumer Protection Rule 111 (CP111) has governed the business practices of propane service providers in Vermont. 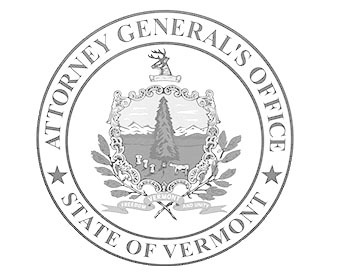 CP111 is enforced by the Office of the Attorney General, and includes some important additional protections for Vermonters. For new customers, disclosure of all charges that may be assessed on a standardized new customer disclosure form (PDF). For current customers, 60-day notice of any changes to fees on an existing customer disclosure form (PDF). notice prior to disconnection or disruption of service, including tenants whose service is incuded in the rent. the right to establish new service as a cash customer and, if re-establishing service within 8 months of termination of service or last payment, the right to get fuel on a cash basis with partial payment toward any past-due balance. If you would like to know more about recent changes to CP111 and your rights under the amended rule, please visit our CP111 FAQs page for additional information. If you have a complaint about a propane provider, or need more information about your rights as a propane consumer, please contact CAP for more information or file a complaint. In most cases, CAP can quickly resolve disputes between consumers and propane providers. If you need help paying your fuel bill, dial 2-1-1 from your Vermont phone to be connected with an agency that can assist you.